Warner Bros. Television released a video teaser for the upcoming Harley Quinn animated series, coming to the DC Universe streaming service in 2019. The teaser – which features Harley Quinn, Poison Ivy and Batman – was released during the 2018 New York Comic-Con. Check out the teaser in the player below. Voice cast details were also released for the upcoming Warner Bros. Animation project. Harley Quinn herself will be voiced by The Big Bang Theory‘s Kaley Cuoco. Cuoco will be joined by Lake Bell (Childrens Hospital), Alan Tudyk (Rogue One: A Star Wars Story), Ron Funches (Powerless), J.B. Smoove (Curb Your Enthusiasm), Jason Alexander (Seinfeld), Wanda Sykes (Black-ish), Giancarlo Esposito (Breaking Bad), Natalie Morales (Bojack Horseman), Jim Rash (Mike Tyson Mysteries), Diedrich Bader (Veep), Tony Hale (Arrested Development) and Chris Meloni (Law & Order: Special Victims Unit). 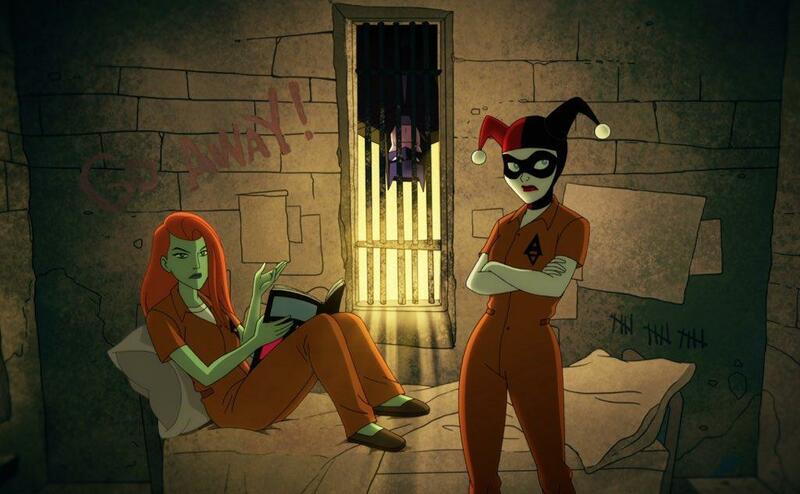 The animated series follows Harley as she breaks things off with the Joker and attempts to make it on her own as the criminal “queenpin” of Gotham City. Sam Register, president of Warner Bros. Animation and Warner Digital Series, will be one of the executive producers. Executive producers on the series also include Cuoco, along with Jennifer Coyle, Justin Halpern, Patrick Schumacker and Dean Lorey. The first season of Harley Quinn will feature 26 episodes and is expected to debut in October 2019, though a specific premiere date has not yet been announced. Stay tuned for select Harley Quinn coverage in the coming months right here at The World’s Finest. 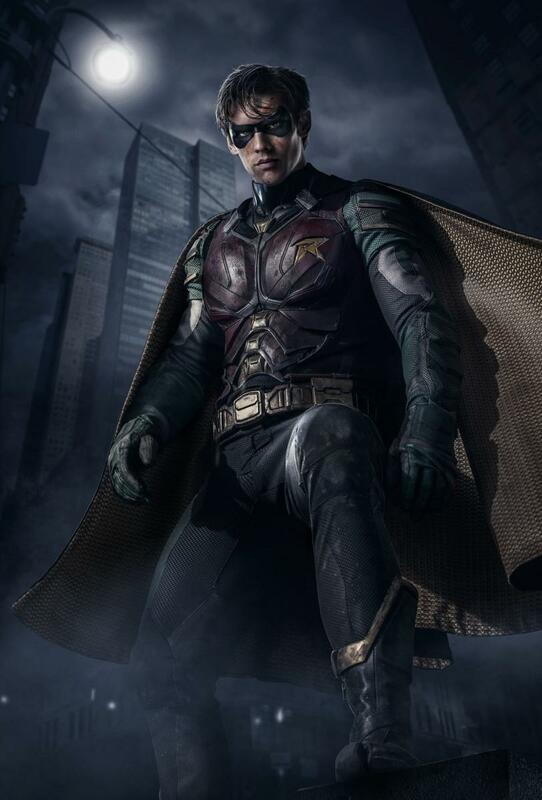 DC Entertainment has released pricing details and additional programming notes for its upcoming DC Universe proprietary streaming service, which will launch with the live-action series Titans later this year. A trailer for DC Universe’s first series was also released, and is available below. 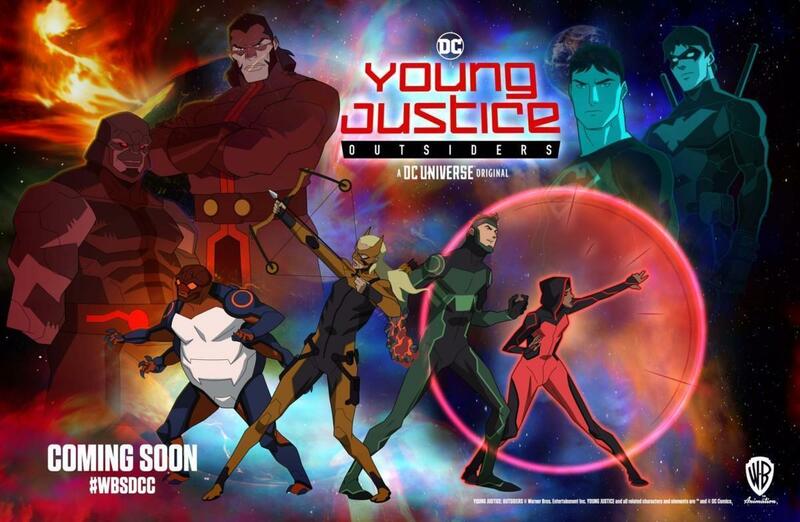 The Young Justice: Outsiders, originally set for a 2018 debut, and Harley Quinn animated series will debut in 2019. Complete press details are available below, along with new imagery. First DC Universe Original – Titans Releases First Trailer to Celebrate Pre-Order Launch! Fans looking to experience the first-of-its-kind digital subscription service that is DC Universe are one step closer today. Slated for release in fall 2018, fans in the United States can now pre-order DC Universe at DCUNIVERSE.com for the yearly membership fee of $74.99 (plus tax, if applicable in your state). Monthly memberships will be available at launch for $7.99 a month. To celebrate today’s pre-order availability, DC Universe and Warner Bros. Television released a first-look at the upcoming exclusive original series Titans with the trailer premiere. The highly anticipated series will debut on the digital service in the fall of 2018. 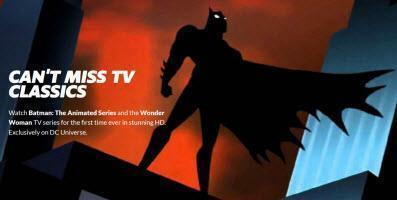 In addition, more fan-favorite DC library content has been confirmed for the DC Universe line-up, including Batman Beyond (1999), Justice League the Animated Series (2001-04) and Batman: The Brave and the Bold (2008-11). DC Universe, launching in fall 2018, is a standalone digital experience designed for the DC fan. Showcasing DC’s iconic characters, DC Universe offers new original live-action and animated series, legendary films and series, and epic animated movies, as well as a fan community, a curated selection of comic books, and exclusive merchandise. DC Universe is operated by Warner Bros. Digital Networks in collaboration with DC Entertainment and Warner Bros. Digital Labs. DC Universe offers access to exclusive content and experiences not available anywhere else. To learn more, visit www.DCUNIVERSE.com. DC Entertainment, home to iconic brands DC (Superman, Batman, Green Lantern, Wonder Woman, the Flash), DC Vertigo (Sandman, Fables) and MAD, is the creative division charged with strategically integrating across Warner Bros. and WarnerMedia. DC Entertainment works in concert with many key Warner Bros. divisions to unleash its stories and characters across all media, including but not limited to film, television, consumer products, home entertainment, and interactive games. Publishing thousands of comic books, graphic novels and magazines each year, DC Entertainment is one of the largest English-language publishers of comics content in the world. Warner Bros. Digital Networks (WBDN) creates, builds, and operates direct-to-consumer digital services, digital premium content, and experiences. The WBDN team is charged with bringing together a diverse portfolio of brands and innovative, exclusive premium content, focused on serving digital-first audiences. 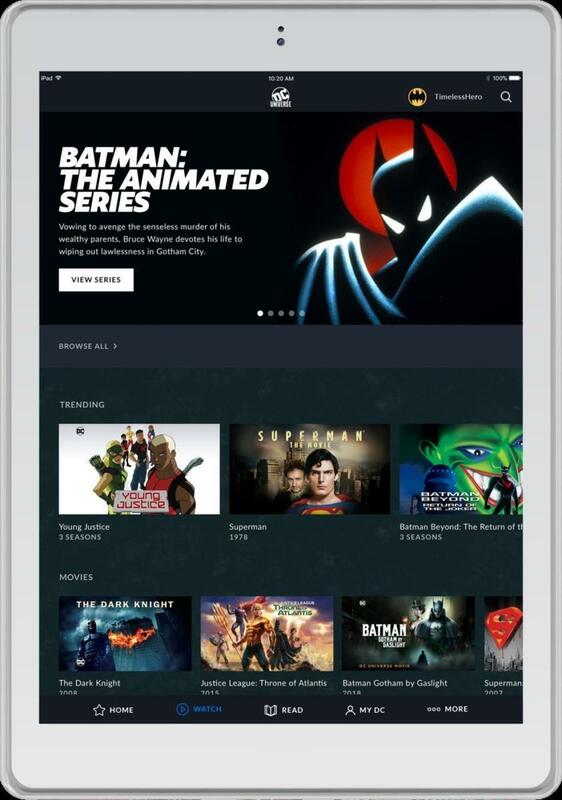 Leveraging the studio’s iconic franchises and vast library, WBDN’s portfolio includes DC Universe, DramaFever, and both Boomerang and Filmstruck in partnership with Turner. WBDN also produces and distributes premium digital series through Stage 13 and Machinima and in partnership with LeBron James’ Uninterrupted and Ellen DeGeneres’ Ellen Digital Ventures. Warner Bros. Digital Networks’ premium programming and digital offerings put viewers at the center of entertainment, sports, gaming, and pop culture, reaching audiences anywhere, across any platform. Stay tuned for further DC Universe coverage right here at The World’s Finest, including updates on Young Justice: Outsiders, Harley Quinn, Batman: The Animated Series in HD, along with a host of other animated content coming to the streaming service. To discuss DC Universe, click on the discussion link below! 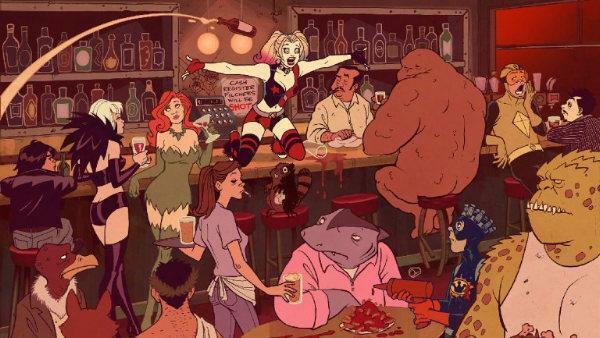 Warner Bros., via Warner Bros. Digital Networks Group, issued a straight-to-series order for a Harley Quinn animated comedy, which is slated to be part of it’s upcoming DC Comics-themed digital platform. Initial details state the 26-episode series will be spearheaded by producers Justin Halpern, Patrick Schumacker and Dean Lorey, who previously worked on Powerless. The animated series will be heavily inspired by the Harley Quinn character currently featured in the DC Comics title of the same name. The animated series will also feature Poison Ivy and a cast of assorted heroes and villains from around the DC universe. The animated series follows Harley as she breaks things off with the Joker and attempts to make it on her own as the criminal “queenpin” of Gotham City. Sam Register, president of Warner Bros. Animation and Warner Digital Series, will be one of the executive producers. Jennifer Coyle also produces with Halpern and Schumacker’s Ehsugadee Productions in association with Warner Bros. Animation. Additional details will be released in 2018, along with a first look at the animated series and further details concerning the show’s cast and crew. The role of Harley Quinn is currently not cast, but Warner Bros. is expected to approach Margot Robbie, who played the character in 2016’s live-action Suicide Squad feature, to reprise the role. 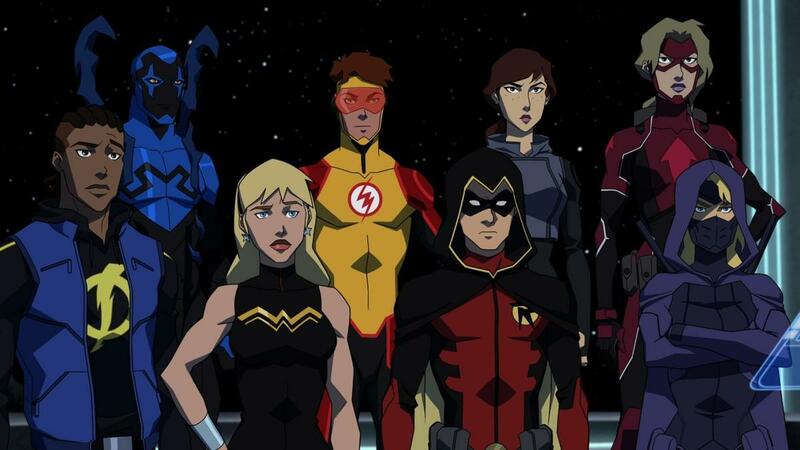 Harley Quinn will join the upcoming Young Justice: Outsiders revival and the live-action Titans on DC’s forthcoming digital platform, which is set to be revealed in 2018. Stay tuned for select coverage in the coming months right here at The World’s Finest.